Bookends: Because of Ellison by M.S. Willis ~ PROMO! 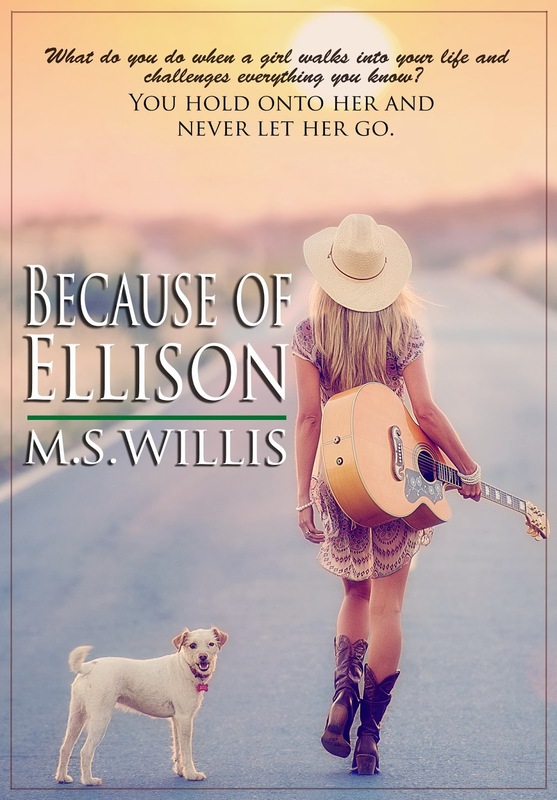 Because of Ellison by M.S. Willis ~ PROMO! M.S. Willis is a romance novelist whose debut novel, Control, was released in 2013. Although currently writing in the romance genre, Willis has plans to expand her literary pursuits into multiple genres and has no fear conquering difficult subject matters in her writing. Willis is a native Floridian who is also a photographer and musician. When not absorbing herself in written, visual or musical expression, Willis is an adrenaline junkie, a ‘closet’ video game enthusiast, and an avid outdoors person and nature lover.